Desirable waterfront corner unit! 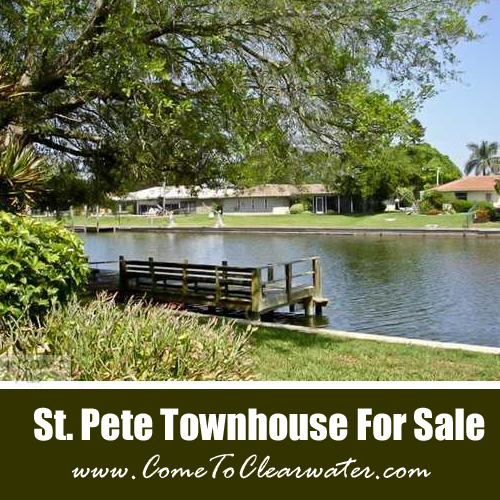 This clean and bright St. Petersburg townhouse for sale has a direct waterfront location. The private courtyard entry leads to the entrance to the unit. The ground floor has been tiled with neutral tile. The 3rd bedroom on the first floor has wood flooring and the inside laundry room offers great storage! The kitchen and living/dining combo offer beautiful water views. Upstairs the master suite faces the water and the bath has been totally remodeled. Wood flooring upstairs, new windows throughout and a newer a/c complete the package.